To place products in your basket and then create an account or, if you already have an account, log in. After your order you receive a confirmation email. You can also view your current orders at your account. If you don’t have an account then you cant see your ordering data online, you cab mail us any questions about your order. -I placed an order but didn’t receive a confirmation email, what now? It is possible that our email didn’t pass the spamfilter. To avoid this you have to make sure that you email programm accepts email form design@haikje.nl. 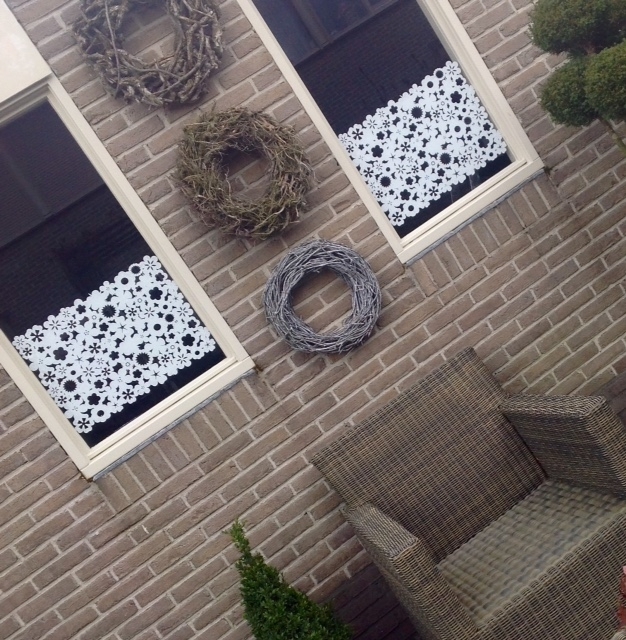 You can therefore add design@haikje.nl to your contact list. -How long is the delivery? Our stickers are custom made, so the delivery will take up to 2 till 8 work days after receiving your payment. -What payment methods can I use? You can choose for Ideal (just for the Netherlands, Bank transfer or Pay Pal. We will ship your order after we received your payment. -What are the Iban and Bic code for banktransfers from abroad? Free delivery applies to orders over € 125. Orders below that costs € 4,95 handle & delivery costs for the Netherlands, Belgium, Germany, Italy (excluded San Marino and Vaticancity), UK (excluded Gibraltar en Channel Islands), Denmark (excluded Faeröer Islands and Groenland), Luxemburg, Sweden, Spain (excluded Canarische eilanden) & Austria. For other countries the handle & delivery costs will be € 12,95. -How will my order be shipped? With the parcel service of Post NL. They will deliver your order in The Netherlands or transfer your order to their foreign partners for delivery abroad. -Does Studio Haikje deliver worldwide? Studio Haikje delivers almost worldwide (USA and Canada are at this moment unfortunately not possible). -What is the difference between window stickers and interior stickers? The window stickers are re-usable and only suitable for glas. The interior stickers can be applied on a window, door or an other smooth and clean surface. The interior stickers are not re-usable. -Can I order a custom window sticker? The window films are available in almost every length. You can order your window film suitable for your window between 20 untill 250cm long. If you want a different size, don’t hesitate to contact us. We will gladly help you. -Are the window stickers easy to apply and removable? Our window stickers are made from static film and are very easy to apply, easy to remove and even and re-usable. There are simple step-by-step instructions provided with your order. -On what surfaces the window stickers can be applied? Good adhesion is best obtained on clean, smooth glass. The window stickers are made from static film and are very easy to apply with a proffessional result. The window decals are also re-usable. The end user of these stickers is responsible to determine whether the surface where the stickers are applied to is suitable. -Are the interior stickers easy to apply? Our interior stickers are easy to apply. There are simple step-by-step instructions provided with your order. -Are the interior stickers removable? Yes, the interior stickers are removable. However we can not give any garantee on products/items where you applied the stickers on. For instance if a door isn’t painted well and then you apply our stickers on it, the paint can come off the door when you remove the sticker. The end user of these stickers is responsible to determine whether the surface where the stickers are applied to is suitable. -On what surfaces the interior stickers can be applied? Good adhesion is best obtained on clean, grease free, dry, smooth, hard surfaces (eg glass, tiles, plastic and wood). On other material, the adhesion is less good if the sticker is not removable without damage. The smoother the surface, the better the result. Textured walls or walls painted with lime based paints are not suitable. The end user of these stickers is responsible to determine whether the surface where the stickers are applied to is suitable. -Can the interior stickers be applied to a wall? The smoother the surface, the better the result. Textured walls or walls painted with lime based paints are not suitable. The end user of these stickers is responsible to determine whether the surface where the stickers are applied to is suitable. You can contact us for a sample to see if your wall is suitable. -Do I have to clean/treat the surface which I will apply the stickers to? The surface must be dust free, grease free, clean, smooth and dry. If something has just been painted, let the paint dry thoroughly, wait at least 20 days before applying the stickers. -What material are the interior stickers made of? The interior stickers are made from matt vinyl film, which gives a professional result and is also suitable for outdoor use. -Why are the window stickers and the interior stickers not suitable for children? Children could, for example put the small particles in their mouths or playing with big stickers and getting caught in them. Do you want to apply stickers in the nursery, then apply them where children can not reach them (not on the inside of a crib or above the crib). -What are your contact details?